My skincare routine changes from time to time. I have oily/acne skin, so I am very particular about the products I use on my skin. Due to acne, I have had to a battle with acne scar, but exfoliating religiously has helped my skin a great deal to heal my acne scars. 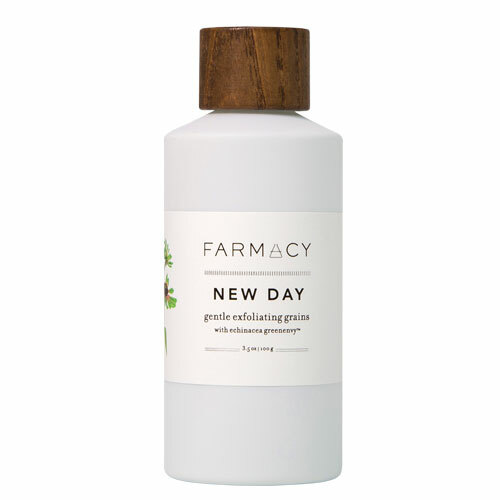 Farmacy product is formulated for all skin types, so whether you have oily skin or dry skin, you can use this product. Echinacea Greenenvy powers Farmacy Perennial Picks Kit. A unique patent-protected variant of Echinacea Purpurea. Green envy contains the highest known concentration of the phytochemical Cichoric Acid, a potent natural antioxidant which helps to protect and firm the skin by inhibiting the enzymes that break down collagen. Farmacy is founded by Mark Veeder, together with farming expert Robert Beyfuss, they cultivate the plant in Upstate New York. Farmacy is also based on changing the lives of local community members by giving back and creating jobs. You get a gentle exfoliating with this product. It is in a powder form and is activated when you add water. It lathers just right and has a mild scent that reminds me of oatmeal. It cleanses my face without stripping it of its natural oils. It is gentle enough for people with sensitive skin to use. After cleansing, my face looks and feels refreshed and toned. I love this serum. It is light, and my skin absorbs it as soon as I apply it on my face. It has a dropper which makes it easy to dispense. I use three drops, and that is enough to use on my face and neck area. The serum helps to reduce the appearance of fine lines and wrinkles. It aids in firming and smoothing my skin. It gives my skin the boost of hydration it needs. My skin is healthy and glowing. After I use the serum, I lock in the moisture with the day moisturizer. 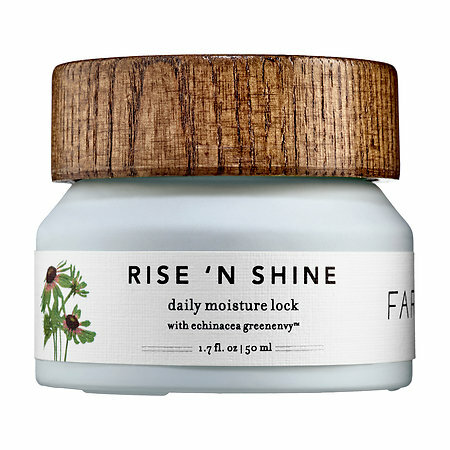 I have used lots of day moisturizer, and this is one of my favorites. 3. It has a light scent to it, not overpowering. The formula is creamy and has a silky texture, it absorbs into the skin almost immediately and doesn't leave any sticky residue on my face. This moisturizer hydrates my skin, provides firmness and elasticity. The night balm has a gel-like consistency that melts into my skin. It is important to note that a little goes a long way. I love to apply the balm an hour before going to bed so that my skin works in conjunction with the product to give me superb results. I wake up with toned and firm skin. Packaging: The Farmacy brand packaging is just the cutest packaging. Their products come in a small square tin bucket in which you can store the products and place them on your dresser or your counter in the bathroom. The tin bucket can double as makeup or perfume storage once you are done using the Farmacy products. I also like the woodsy style lids. I love the earthy, rustic look. 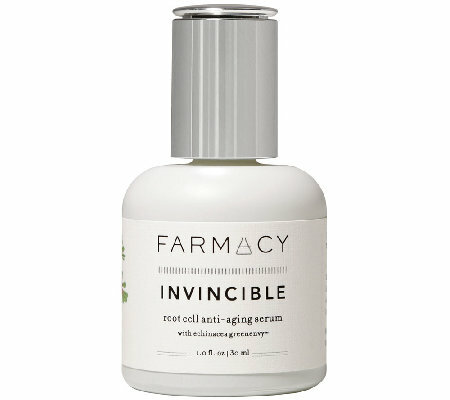 Farmacy is an excellent and great skincare line. I love using it, and I am happy with how well my skin is responding to it. Overall my face is glowing and looks firm. 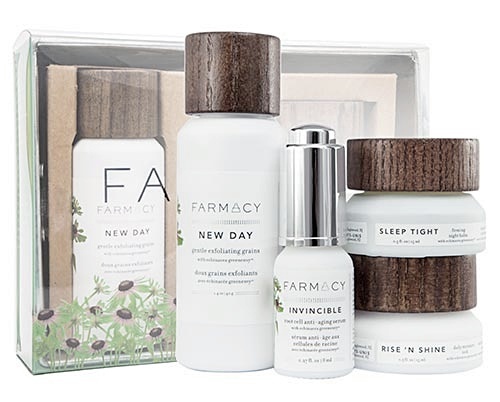 If you are looking to try something different, try the Farmacy Perennial Picks Skincare Discovery Kit. The product is fantastic and affordable ($45).